On Tuesday, the Richmond City Council heard presentations on wastewater infrastructure and School Resource Officers—or SROs—among other items. SROs, who are full-time police officers stationed at schools, have come under criticism recently in the West Contra Costa Unified School District due to budget constraints and because parents, teachers and other community members have raised questions about their effect on school climate. Several members of the Richmond Police Department—Chief Allwyn Brown, Sergeant Lynette Parker and Officer Joseph England—explained the role of SROs to the council because the school district is currently attempting to negotiate cost-sharing measures with the cities that make up the district. 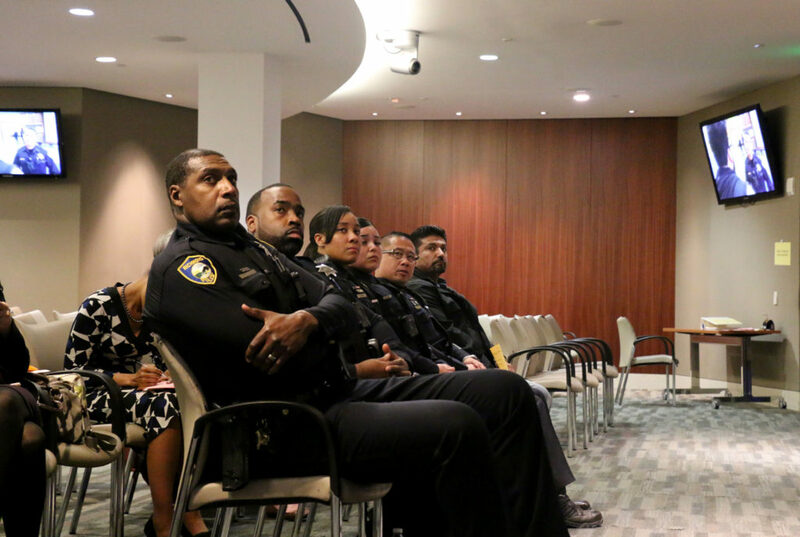 SROs were previously discussed by the West Contra Costa school board in December when they were deciding upon $12.5 million in cuts from the district budget—largely to make room for a 15 percent teacher pay raise passed earlier in 2018. Though SRO services were not cut or reduced as a result of those conversations, district staff were directed to explore alternate funding options for the officers. A preliminary district budget was decided in December, but changes are still possible before the final budget is nailed down in June. The district spends about $2.4 million employing 13 SROs, according to a letter sent by Superintendent Matthew Duffy in April. Six are Richmond police officers and serve in Richmond schools; Sergeant Parker, not included in the count of six, oversees the group. According to district communications director Marcus Walton, the district is planning to spend $150,000 per SRO in the upcoming fiscal year. This is a reduction of roughly $300,000 from their current contribution of about $200,000 per officer, from about $1.2 million to $900,000 overall. Additional costs have historically been covered by the city. According to data presented by the police at the meeting, annual city contributions to SROs have risen steadily over the past five years, from about $850,000 to $1 million. The district has reduced its contribution over the same period from about $1.33 million to about $1.2 million—likewise, the number of Richmond SROs has fallen over five years from eight to the current six. The city would need to cover the $300,000 difference to maintain the SRO program at its current capacity. The police officers kicked off their presentation with a cheery video that showcased support for SROs among district students and teachers. Officer England followed by explaining his experience serving as an SRO for De Anza High School, where he’s worked for about a year and a half. He walked the council through his daily routine, spoke of relationships he’d built with students and staff—an important source of preventative action, according to him—and provided several anecdotes of dangerous moments that required his intervention. In 2017, England said, he learned of a student who’d brought a firearm to school and managed to apprehend him. Once, when he heard that a student had been forced by their parents to live in a dilapidated shed, he personally visited their home to intercede. Critics of SROs, none of whom spoke at the meeting, have routinely pointed to the unintended consequences that a police presence can create at schools. These may include the over-use of arrests and suspensions, particularly against students from marginalized communities. These concerns were reflected in the school district’s Positive School Climate Policy, which was enacted in 2017. The policy established several new standards in SRO contracts to define and clarify their role—especially regarding student removal. It also introduced mandatory trainings in restorative justice, which focuses on rehabilitation rather than punitive punishment, and trauma-informed practices, which take into consideration the wellbeing of students. Chief Brown and Sergeant Parker repeatedly stated that much of the officers’ effectiveness happens through preventative action. This action would be less possible if SROs were cut, they said—issues at schools would require a call for service, and, Brown said, their average response time to a priority call for service is six minutes. At the same time, Parker also outlined that school arrests—which have at times occurred on a monthly basis in Richmond—account for a wide variety of crimes that reflect broader trends throughout the city. A council decision on SROs will be made at a later date. 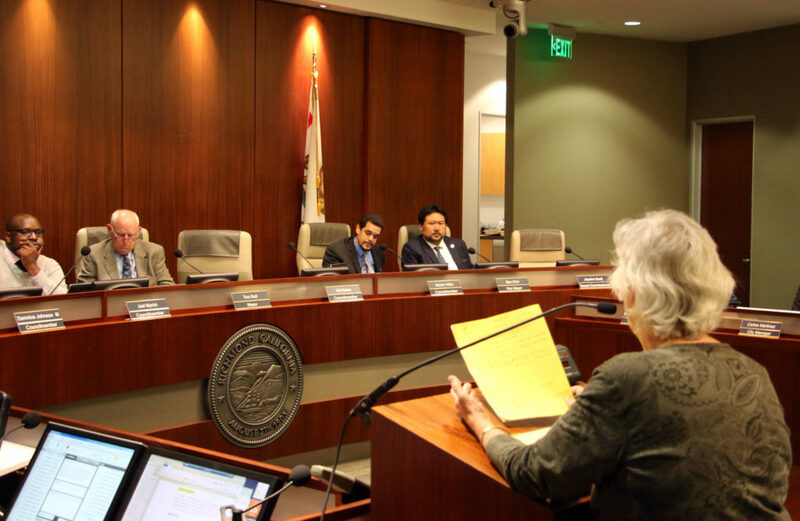 Most of the members didn’t indicate a clear position on the issue, though most of them—particularly Councilmember Nat Bates, a retired probation officer—praised their work. The council also allowed Gonzalo Rucobo, the principal officer of the Bay Area Peacekeepers—an anti-gang youth development group—to speak in support of SROs for 45 minutes. Rucobo, who said he was once in a gang himself, spoke to their necessity. He argued that his job of breaking up gangs and supporting young people would be severely impaired without an officer backing him up. The wastewater presentation, made by Ryan Smith, the director of Richmond Water Resource Recovery, outlined a cost of about $200 million, if not more, in recommended infrastructure improvements over the next ten years. He suggested that the council implement at least a 5 percent annual rate increase to cover these costs. 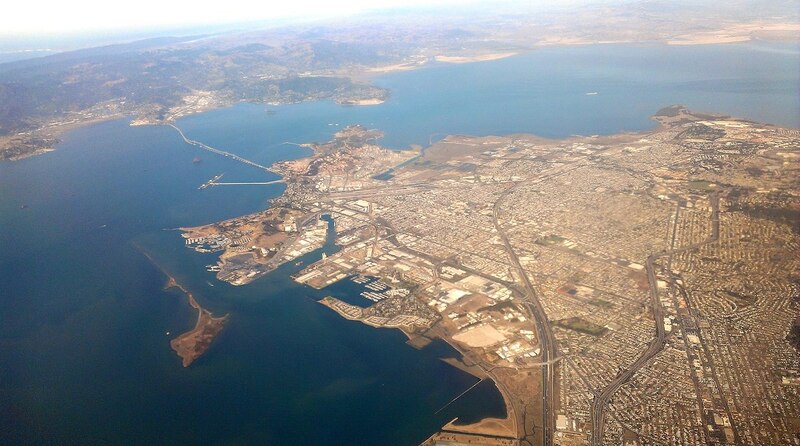 The presentation comes on the back of a settled lawsuit by the environmental nonprofit San Francisco Baykeeper, who sued the city in 2006 for underfunding sewage infrastructure repair and polluting the bay with hundreds of thousands of gallons of raw sewage each year. A 2018 settlement agreement, reached by Richmond violating the terms of a 2006 settlement agreement, forces the city to follow an infrastructure improvement plan. If the council votes down the rate increase, Baykeeper will likely invoke the court’s authority to force a 10 percent annual rate increase—which the group believes is necessary to complete the series of infrastructure projects, according to Smith. “We just have to bite the bullet and do it,” he continued. The council will take action on the issue at a later date. The Arcata, Ca. sewage facility is an excellent example of what can be done without a lot of concrete and energy.Before spending ,did I read this right 20 million per year, what they have done should be studied.